Bobby Gossai, Jr. recently completed his MSc (Econ) in Petroleum, Energy Economics and Finance from the University of Aberdeen. 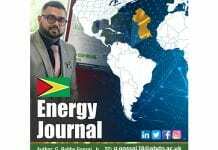 Increasing hydrocarbons finds offshore Guyana will offer significant opportunities to the country to fast track economic development and ensure that public welfare improvements are delivered to the citizens. One approach to doing so which should be adopted is to develop a productive and progressive Local Content Policy (LCP). An industry integrated LCP will enable Guyana to capture the benefits of foreign direct investment by imposing conditions on foreign investors to ensure value addition in the country. 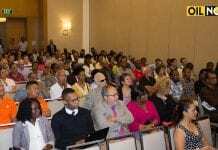 However, Guyana’s current challenge is how to design the policy to reflect its unique economic development needs and local conditions. The quantum of composite value added to or created in the economy by a systematic development of capacity and capabilities through the deliberate utilization of the native citizens, material resources and services in the oil and gas industry. The quantum or percentage of locally produced materials, personnel, financing, goods and services rendered in the petroleum industry value chain and which can be measured in monetary terms. The added value brought to the country in the activities of the oil and gas industry in the economy through the participation and development of local citizens and local businesses through national labour, technology, goods, services, capital and research capability. The added value brought to a host nation (and regional and local areas in that country) through the activities of the oil and gas industry. The purpose of developing national local content policies is to increase the value generated by the exploitation of a resource that remains in the domestic economy; and to develop linkages between the oil sector and the rest of the economy. Moreover, local “local” content is consistent with what Warner (2007) has termed “community content”, i.e., the interface of community investment programmes with local content, which consists of the strategic deployment of local participation and local capability development opportunities arising from an oil or gas project, specifically directed to strengthen the sustainability, relevance and political visibility of community investment programmes. Community content is about realising a competitive advantage for the oil company in the eyes of both the local population and the country’s guardians of economic policy. The distinction between community content and local content programs is that whereas the former is a merit good directed at supporting those adversely affected by extractive resource projects, local content programs represent public good(s) although from a global perspective they may also be regarded as merit goods in that they give privilege to nationals and firms from within the country as against other nationals and firms. Therefore, what matters is not only what happens in the sector, but what happens beyond. As such, local content can encompass forward, lateral and backward linkages. Backward linkages are those created by the commercial relations between oil operators and their supply chains, which include the transfer of technology and know-how, employment of nationals, and sourcing local goods and services. 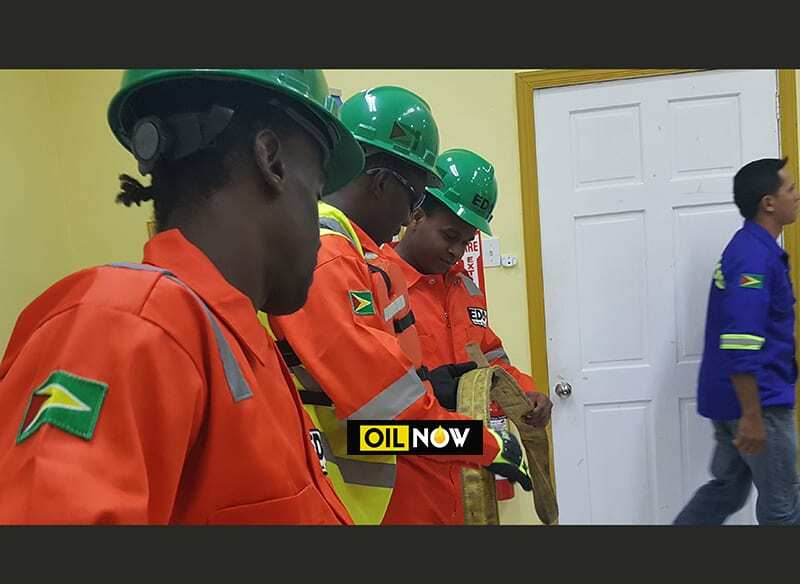 Lateral linkages utilize the demand of the sector to develop skills, services and infrastructure that can positively impact on other sectors of the economy while allowing locals to participate in the petroleum supply chain. Forward linkages involve the construction of facilities that process and export these resources, such as refineries and petrochemical facilities. LCPs are a requirement that a given percentage of domestic value-added, or domestic components be embodied in a specified final product (Grossman 1981). They are regarded as a form of productive development policies whose goal is to strengthen the productive structure of a particular national economy (Melo and Rodríguez-Clare 2006). They are designed to increase local participation in foreign direct investment by directing the utilization of local companies in goods and services procurement, the employment of locals and the use of local raw materials by investors. Other measures include tariffs, taxes, pricing, licencing and concession systems that are skewed in favour of local industries or aimed at facilitating the creation of local content by investors as well as local firm reservations for certain inputs and services. LCPs require firms, particularly multinational firms operating within a country’s territory, to give first consideration or deliberate preference to the country’s nationals in matters of employment and training, and in the procurement of goods and services. The requirements are either embedded in contractual agreements between governments and companies or enacted legislatively. In some cases, they are established in bidding rules as a precondition for winning contracts or embedded more indirectly in regulation and tax regimes through provision of incentives to local industries or to other companies that support local participation. These policies will help to correct market failures which arise when there is a distortion that keeps the market from allocating resources efficiently and adjusting to a steady state, with the result that domestic industries cannot gain the necessary technology and capacity to compete on the open market without outside intervention and protection (Tordo et al 2013). The market fails from a domestic perspective, because the lack of domestic skills to serve the needs of the industry results in inefficient allocation of resources in the market. By requiring companies to invest in the development of particular local skills, LCPs can help to correct this market failure because such requirements help to ensure that skills are available to meet the demands of the market. There is an inherent good in a country developing its own technical skills to meet the demands of its industries. It enhances entrepreneurship and can contribute to poverty reduction. LCPs will help domestic Guyanese firms to integrate themselves into global economic networks. This is confirmed by studies which show that in the 1990s, both local “productivity-enhancing entrepreneurship” and state support to local development helped East Asian firms to achieve significant positions in global economic networks (Gereffi 1995). LCPs will contribute to the productivity and competitiveness of domestic Guyanese firms through knowledge transfers that take place from foreign firms to domestic firms. It has been noted that that most advanced economies utilized industrial policies similar to LCPs to boost their domestic economy while in the early stages of their industrial development (Whitfield et al 2015). Therefore, the degree of local content in the production of a commodity can be defined by the share of local inputs (labour, capital, intermediate products) that are used in its production and the share of local ownership of the production companies (Kolstad and Kinyondo 2017). Hence, the aim of a local content policy is to increase the degree of local benefit in the various value chains; beyond what it would be in the absence of such policies. This typically involves increasing the share of nationals working in the extractive sector and increasing the participation of local companies in the supply chains. Normally, the overall purpose of an LCP is to ensure a more equitable distribution of the resource rents and to make sure that the local community also benefits from the extraction. Thus, the local market could be used to ensure that resource extraction is done in the most efficient way with an optimal use of inputs. 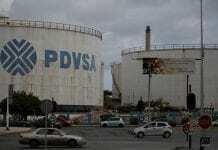 This could maximize the amount of revenue for the government, which could then be used for development purposes. Including local labour and companies is an investment in the future rather than a cost; these workers and companies would be capacitated to generate higher income in the future due to the knowledge, skills or technology enhancement derived from participating in the sector (Kinyondoa and Villanger 2017). Building domestic companies through their participation in the extractive sector can contribute to the development of these companies into more advanced entities that can, in the future, engage in highly productive activities outside of this sector. Hence, the establishment of a stronger local industry now will generate larger future flows that will compensate for the lower current revenue flows. The extraction of natural resources can have enormous implications for many parts of an economy irrespective of any LCP, including government revenues, public expenditures, investments, salary levels, demand for labour and expertise. Moreover, the resource rents are usually much larger than the economic value of any local content generated. Hence, government management of these incomes (taxation, expenditures, macro management, and so forth) is likely to play a more important role in poverty reduction and development than even the most effective local content requirements. In addition, there is likely a trade-off between the use of the resource revenues for LCPs and other welfare-enhancing and poverty-reducing investments (such as education, health, and infrastructure) that could be important. 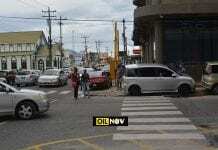 Therefore, one key option for Guyana is to adopt a localist approach for its LCP. A localist approach can be utilized to address a number of other problems associated with extractive resource development that have historically impeded other sectors of the local economy from fully realizing the potential benefits of the extractive resources. It can also be used to improve company-community relations. It can be used to partially compensate the local resource-bearing communities for any negative impacts of oil and gas development. 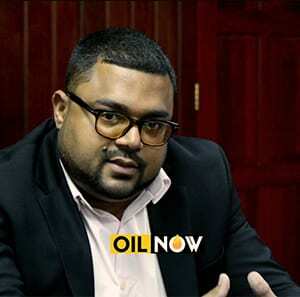 Developing the new petroleum industry for Guyana will require a nudge from the government. The nudge can take the form of subsidies, loans, infrastructure and other kinds of productive-enhancing support. The adoption of stringent local content targets that do not take into account the skills gap in the country may hurt rather than help the realization of the potential of the LCP to fast-track the economic development in Guyana. To benefit optimally from the LCP, however, it is important for an emerging oil and gas economy such as Guyana, to inject transparency measures into the design and implementation of the policy to avoid or reduce the likelihood of elite capture of the benefits of the policy. The policy option to be adopted by the country, for the exploitation of the oil and gas resources, must bring maximum benefit to the citizens. The LCP should be taken into account to the extent that it is considered in the country’s wider industrial policy aimed at economic diversification and transformation.